“Ethos” is a Cinematic Poem Aerial Short Film Featuring Excerpts from “True Love” by Robert Penn Warren and “Song” by Allen Ginsberg Directed By Jay Worsley. Filmed in California, Arizona and Oregon. “The Beginning” is a Cinematic Poem Time-Lapse Music Short Film For Whim Grace Album Directed By Lance Page. ‘The Beginning’, a short film for a new world. 4K time-lapse cinema from Page Films and spoken word from Whim Grace, a collaboration of the arts. Locations: In Oregon (Canyon Creek Meadows / Camp Sherman / Sparks Lake; Hawaii (Big Island); and Australia (Broken Head Beach). “A Fleeting Dream” is a Cinematic Aerial Short Film of the Southern Oregon Coast Directed by Jay Worsley. “Tempus Fugit 2” is a Cinematic Time-Lapse Short Film Directed by Nicholas Roemmelt. TEMPUS FUGIT 2 , the sequel of my first time-lapse movie „Tempus Fugit“, took me three years to shoot. I was visiting a lot of popular and well known places around the world but quite remote and deserted spots, too, in the last three years. Sometimes I had to hike for hours with heavy equipment to come to the spots. You will find locations in Austria, Italy, Switzerland, Norway, Iceland and USA (California, Utah, Washington, Oregon). “Valhalla” is a Cinematic Poem Short Film in the Oregon Wilderness Directed by John Waller and Ben Canales. has revealed my hidden gate. sit around the warrior’s table. stalwart, on your hero’s journey. Here is where your proud waves halt. Have you journeyed to the springs of the mountain? Have you walked the corridors of Time? for you to fill and subdue? the death of your beliefs. “Requiem Of Ice” is a Cinematic Poem Time-Lapse Short Film at Mount Hood, Oregon Directed By John Waller And Ben Canales. 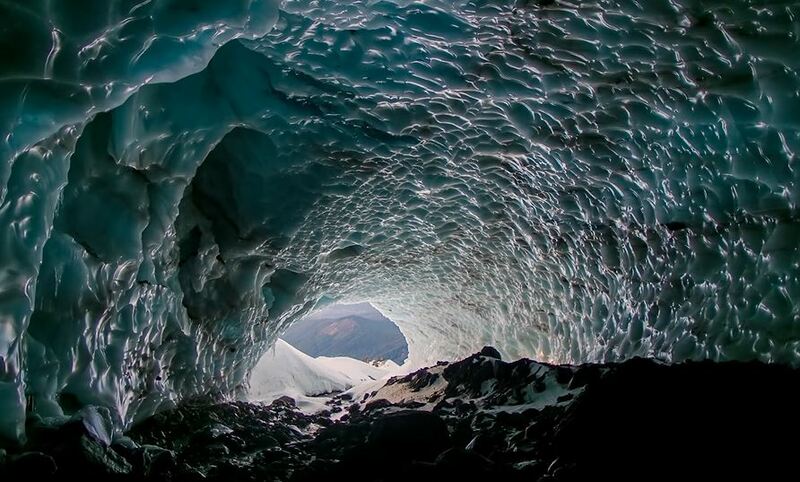 Since October, 2013, John Waller and Ben Canales of Uncage the Soul Productions have made five trips to the Sandy Glacier Caves on Mt Hood, the largest glacier cave system in the lower 48 states, documenting the extraordinary deterioration and collapse of these stunningly beautiful caves. The resulting short film takes the viewer on a visual odyssey of the cave system, showing the massive scale, as well as the intimate details. Waller and Canales scripted an artistic narrative interpretation of the final thoughts of the glacier cave to accompany the time-lapse, high speed, and aerial footage that was produced. For ages this sentinel mountain has shadowed me. Together, we have shaped the land to our design. My breath twists and curls across the mountain summit. that splash and flow across the hillsides. I flush with color at the promise of a new day. becomes a roar of my departing spirit. through scalloped tunnels of time. I am tortured with roots to a mountain that can no longer sustain me. each carve in me their signature. I am illuminated from within by an extraordinary light. It is the light that accents my beauty. It is the light that will consume me. I welcome the cold blanket of darkness. The canvas of stars cools my scalded facade. Through ceiling eyes I converse with the sweeping heavens. Cold nights now warm and the voice of stars fade. My strength ebbs as the fragile gift of life departs. I invite the intrepid seeker to share my story. I remind you of the raw code of Nature. Leave no words unsaid about the elation of a life well lived. and smile when you think of me. 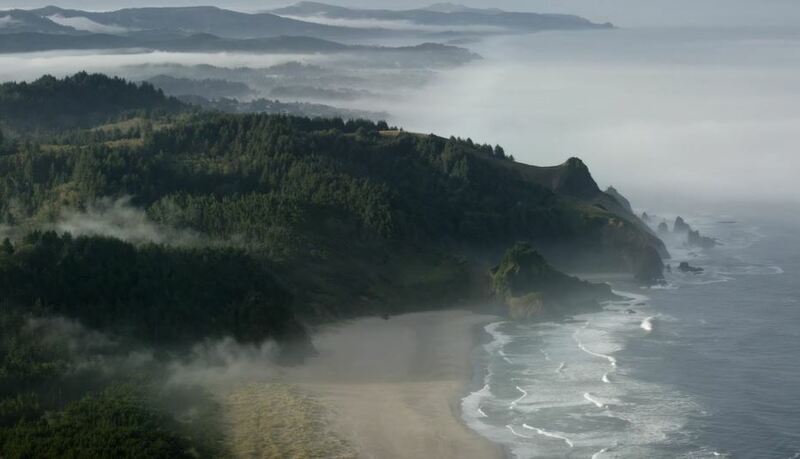 “The Coast” is a Cinematic Narrated Short Film In Coastal Oregon Directed By Skip Armstrong. 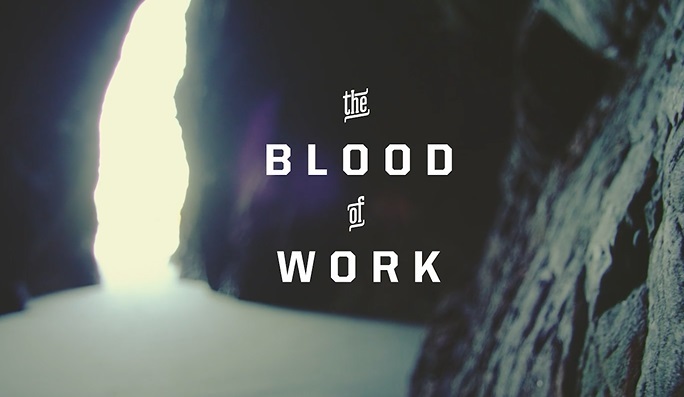 “Mortal Passion-The Blood Of Work” is a Cinematic Narrated Short Film in Coos Bay, Oregon Directed By Jeremy Miller. A Cinematic Short Film Trailer of Casey Gannon and Colin Arisman’s 5-month, 2668 mile journey in 2013 on foot from Mexico to Canada across the wilderness of California, Oregon, and Washington along the Pacific Crest Trail. Supported By: The Pacific Crest Trail Association and Kickstarter Backers.